Picture perfect birthday card Stampin up! Hello and welcome back to Chapter Crafts. 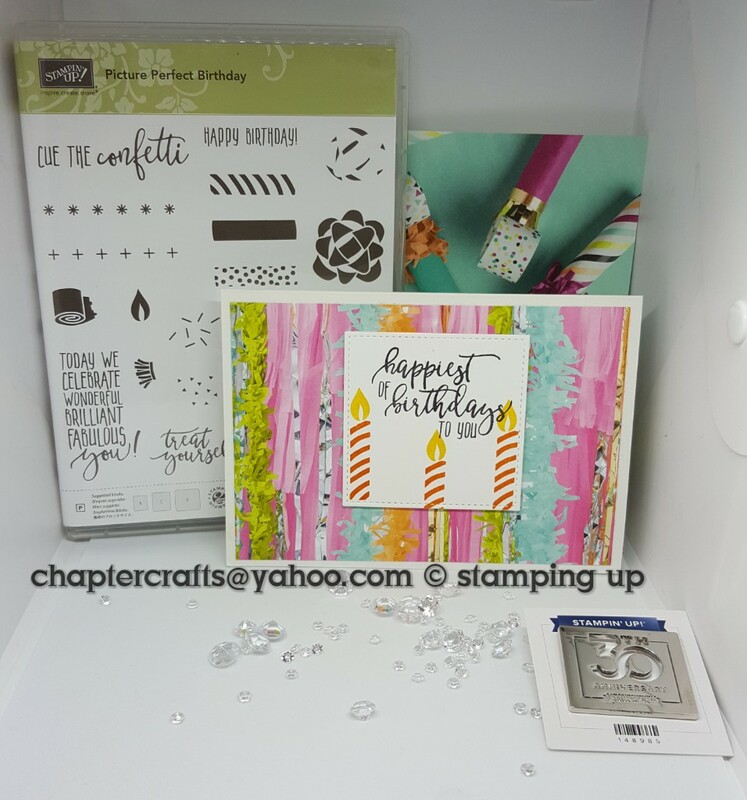 Today I have made a very simple card using the picture perfect birthday stamp set from the spring/ summer catalogue from Stampin up! This is one of those sets where you can use to make simple cards that take a few minutes to advance cards that take time. First you need whisper white card stock cut to 8 1\4" x 5 3\4" and score @ 4 1\8"
Picture perfect party designer series paper cut at 5 5\8" x 3 7\8"
Stamp your sentiment in basic black and stamp out 3 of the candles in pumpkin pie ink with the flame in daffodil delight.